Cascade Lavender is a family friendly place with plenty to see and do from display gardens, plant nursery, U-pick, oil distillation, farm animals and gift shop. Our beautiful farm and spacious grounds also provide a scenic and tranquil setting for lunches under shaded picnic tables, private events and photographic opportunities. We are open to the public with free admission. We also offer group packages which include guided tours and either an English Tea or lavender lunch. We currently have over 4000 plants and 24 different varieties in our U-pick garden. Bloom colors range from whites, pinks, blues, and lavender to shades of deep purple. We grow French lavender and English lavender. U-pick is best late June through early August. Visitors are always welcome. Enjoy the flowers and incredible views of the Cascades. Picnic tables and patio chairs are available for relaxation. Cascade Lavender’s beautiful farm and spacious grounds provide a scenic and tranquil setting for group lunches and private events. Group tea and lunch packages include: a guided tour, lavender refreshments and a fresh cut bouquet of lavender per guest. Please click HERE if you'd like to schedule a private event. We distill and market the oil which is organically grown, distilled here in Central Oregon without the use of chemicals or pesticides. We also sell hydrosol, dried lavender and buds along with other aromatherapy products right here at the farm. 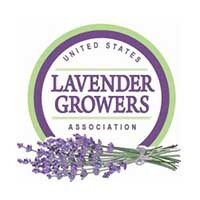 A large variety of lavender plants are available for purchase in the summer, too. Click HERE for our online shop. What a wonderful place to visit. The owners were very welcoming and patient with our countless questions about everything lavender. I will be back again, and I will definitely continue to order your lovely products. Thank you! We cannot wait to host you here at Cascade Lavender. We'll do everything we can to make it an experience to remember. See you at the farm! From Hwys 26/97 heading south, turn right at D Street which becomes Culver Hwy. Continue south through Metolius; turn right on Eureka and follow until it turns left onto Feather Dr. The farm is 1/2 mile south on the right. From Hwy 97 north, exit left onto Culver Hwy. There will be signs for Cove Palisades State Park and Round Butte Dam. When on Culver Hwy turn left onto Iris at five corners. Follow Iris over RR tracks and turn right onto Feather Dr. The farm is approximately 4 miles north on the left.